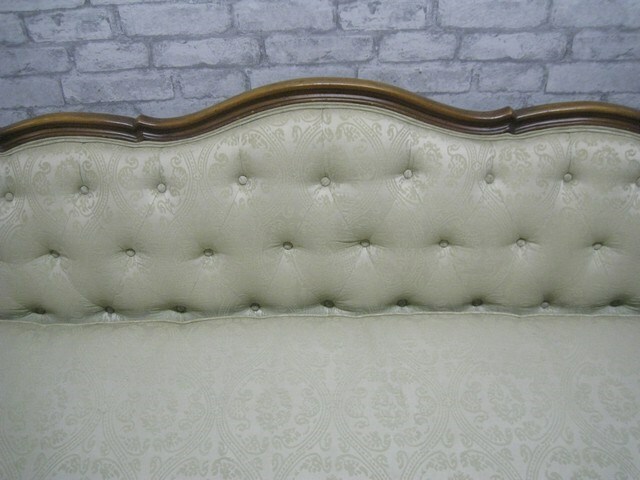 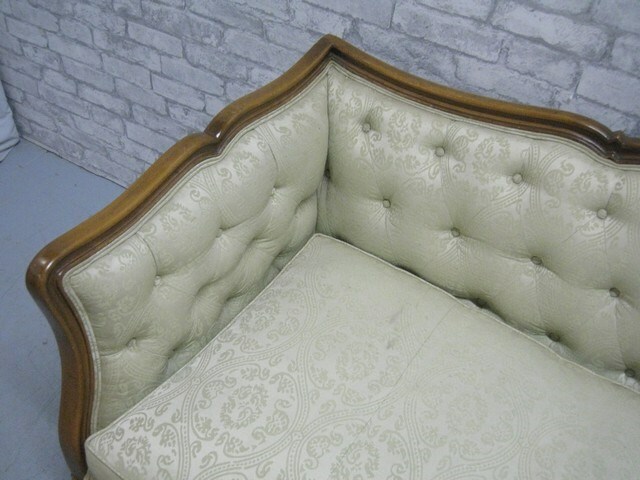 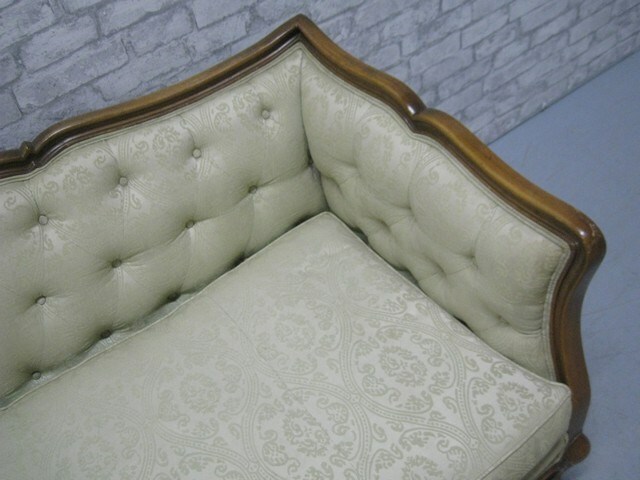 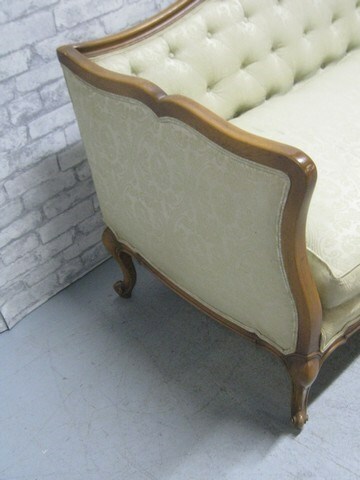 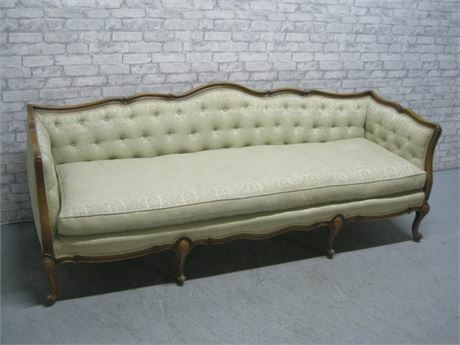 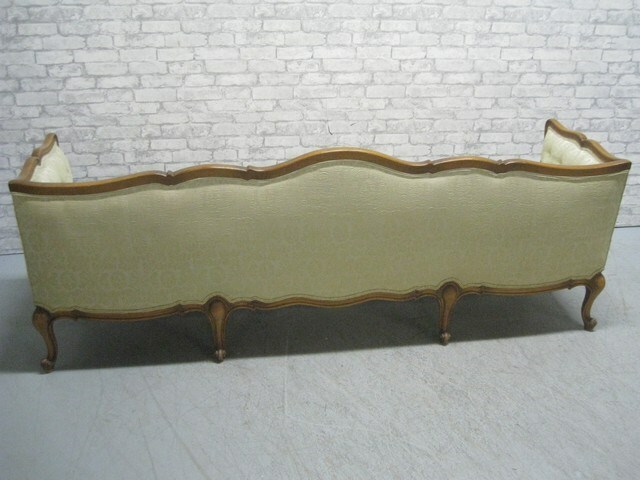 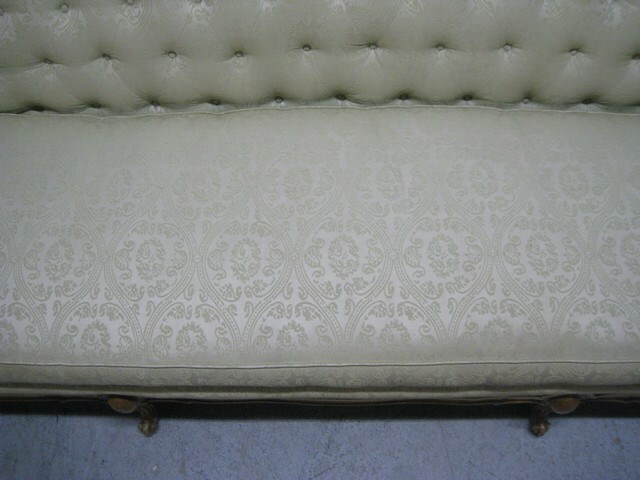 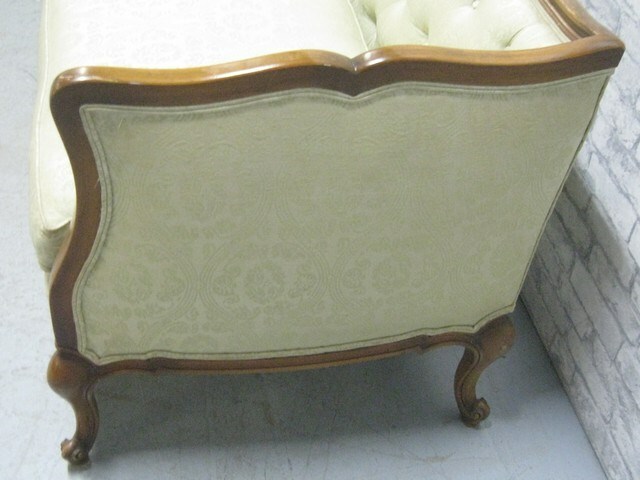 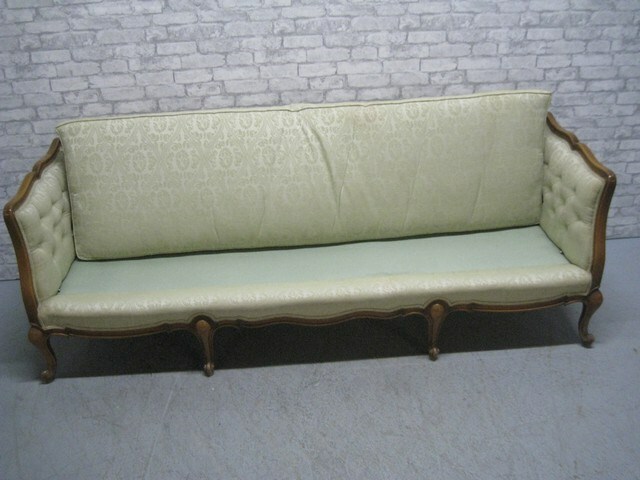 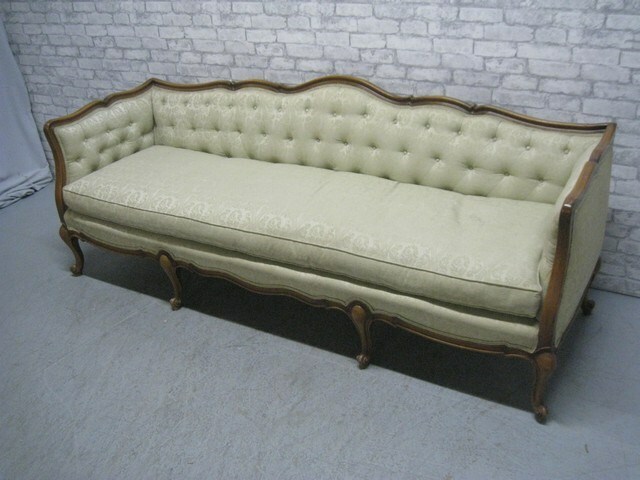 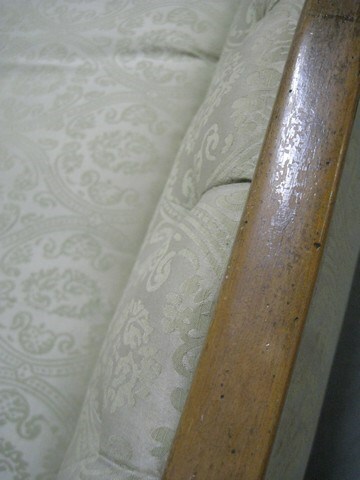 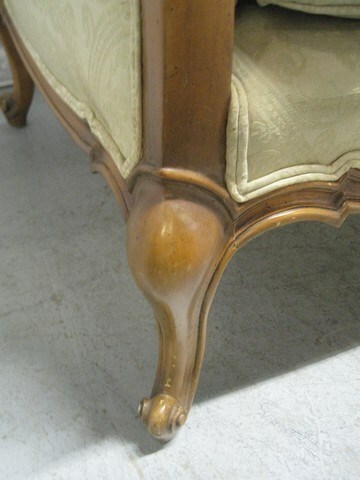 Large Vintage Sofa with Wood Trim. 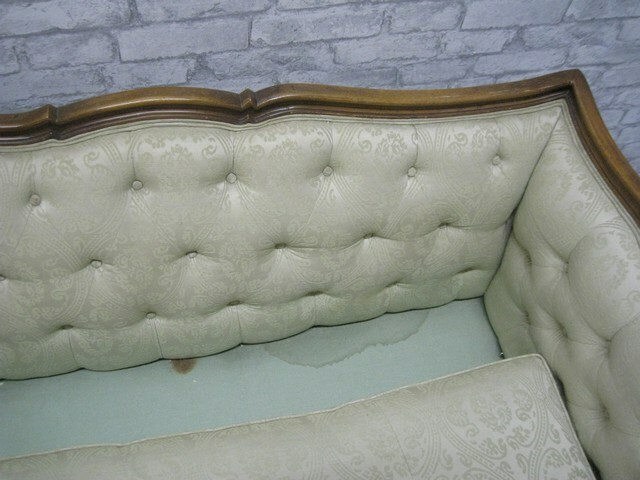 Seat Cushion has a couple light marks, although there are some stains under and towards the back of the sofa (not on the cushions). 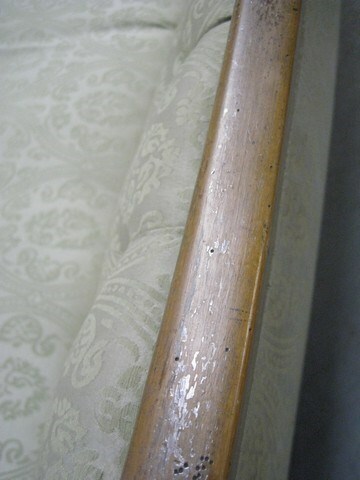 The wood on the back top edge has some of the varnish finish worn away.